My profession means the world to me. It has given me so much, and more: the ability to connect to so many diverse individuals with different backstories, and learn about their lives and experiences as I help them achieve and maintain a healthy a smile. In turn, I am able to help patients change how they feel about dentistry. By providing a patient-centered, painless experience, making sure each patient knows they are heard and respected, and keeping them actively involved in their care, I help them learn they have nothing to worry about. Being a dentist has allowed me to grow as a professional and as a person. It allows me to serve others and improve their quality of life. What could be more rewarding than caring for smiles? Dr. Montesinos graduated from the Institute of Higher Sciences in Pinar Del Rio, Cuba in 1999. She practiced in Cuba for several years and then immigrated with her family to the United States. After working as a dental hygienist in the US, she returned to school for a challenging residency program at the Jackson Memorial Hospital in Miami. There she was awarded her Doctorate of Dental Surgery. Continuing education, Dr. Montesinos feels, is one of the most important factors in the medical and dental fields. 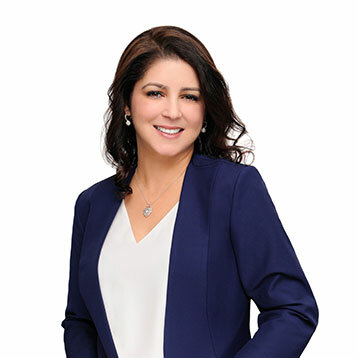 By staying abreast of the latest research, technologies, and methodologies, she ensures she can provide patients with faster, more effective treatments that are also more patient-sensitive. Throughout the year, Dr. Montesinos attends various continuing education forums, including conferences, lectures, and seminars offered through the American Dental Association and Florida Dental Association. She is also an active member of several dental study groups. A native of Pinar Del Río, Cuba, Dr. Montesinos has called Miami her home for many years. A family-oriented person, if she is not in the office, she is most often to be found with her husband and three children. She enjoys taking the children to sporting events, relaxing at the beach, and supporting their various interests. Dr. Montesinos also volunteers for food drives and helps her church raise funds to better aid the Miami-area community. She appreciates being able to serve others in this way and showing her children the importance of giving back and being a good example for others.